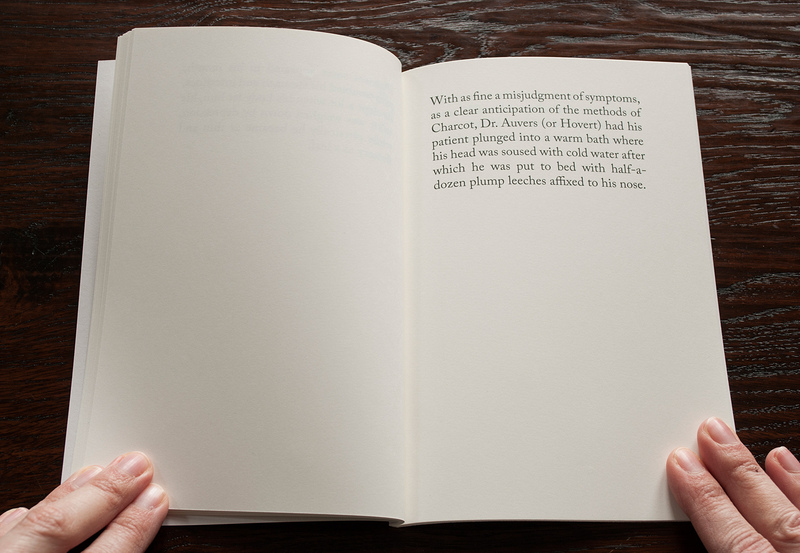 This literary artist book excerpts texts from the biographies of nineteen different poets to fabricate one single, time and space crossing, remarkable story. B&w digital printing, paperback, size 13 x 19 cm, 48 pages. Edition of 125 copies, not numbered. Priced at €24, plus shipping. Order through my webshop or through email. Published in Leerdam, The Netherlands, May 2016. This book is available in the collections of the Bayerische Staatsbibliothek, Bower Ashton Library at UWE Bristol, Columbia University, Jan Michalski Foundation for Writing and Literature, Kunstbibliothek (Berlin), MACBA (Museu d’Art Contemporani de Barcelona), National Library of The Netherlands (Koninklijke Bibliotheek), Photothek at Kunsthistorisches Institut Firenze, RKD Netherlands Institute for Art History, Van Abbemuseum, Zentralinstitut für Kunstgeschichte (Munich). Click on the images below to see the first pages of the book. 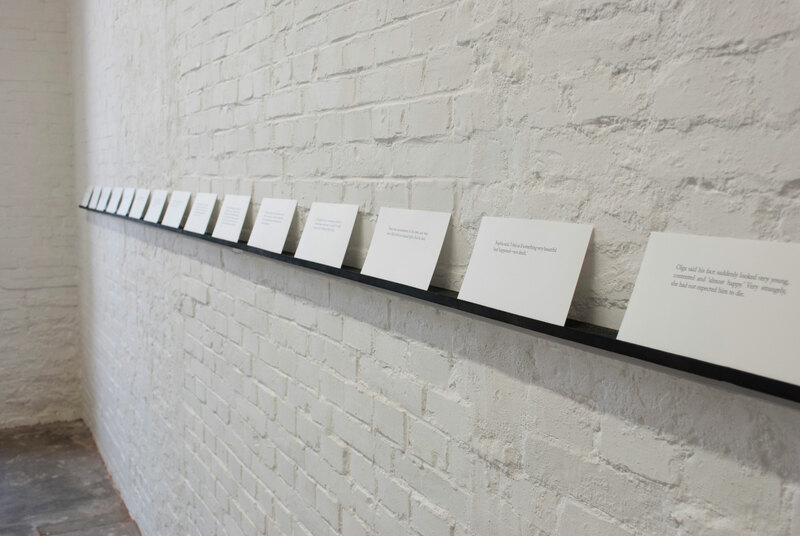 An installation version of the work was on view in my show ‘The Library’ at Galerie Block C in Groningen.